Harry Van Belle is a Christian psychologist and psychotherapist. He is married with three children and three grandchildren. From 1971 - 1977 he was the supervisor of the Psychology Department in the Brockville Psychiatric Hospital in Brockville, Ontario, Canada. 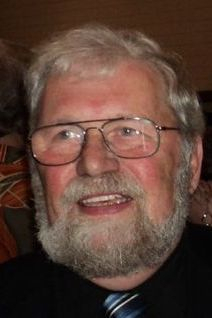 From 1977 -1982 he was the first Director-Therapist of the Cascade Christian Counseling Centre in Surrey, BC, Canada, a therapy centre which he founded. From 1982 - 1992 he taught psychology at Redeemer University College in Ancaster, Ontario, Canada and from 1992 - 2000 he taught psychology at The Kings University College. In 2000 he took early retirement to spend more time traveling, writing and practicing therapy. As his website shows, he has written extensively about topics related to psychology, family life, psychological development and psychotherapy as well as on topics dealing with the relation between religion and psychology. An interview with Harry can be found here. He is a prolific author. One recent of his books is Intergeneration Lost and Found why suits and skirts don't talk with jeans, why they should, and how they can. In it he traces the history of psychology from its roots in Greek philosophy and includes a description of the later influence of the Hebraic-Christian mindset on that history. Subsequently, he follows the journey of psychology through the Middle Ages and the scientific revolution of the sixteenth century. Next, he describes the birth and trajectory of psychology proper during the nineteenth century and closes with a description of a number of the more contemporary schools of psychological thought. The underlying thesis of the text is that the history of psychology gives evidence of both continuity and discontinuity in interaction with one another. Thus, to do justice to the actual history of psychology one must take note of both persisting themata and changing paradigms. Articles 1022, 1008 and 1001, below, draw upon Vollenhovenian insights. This series of publications offers an in-depth look at Person-centered Therapy. It contains an exposition of the views of its founder, Carl R. Rogers, as well as the theoretical and historical background of the movement. This section is of interest to psychotherapists, counsellors, historians of psychology and philosophers. This section deals with a variety of topics in psychology. It contains a complete manuscript for a text on the history of psychology. It offers a number of articles on perspective issues in psychology as well as thoughts on the relation between psychology and (a specifically Christian) worldview. Lastly, this section contains several articles on the psychology of emotion. These articles are of interest to teachers of psychology in general and more specifically to historians of psychology and theoretical psychologists. These articles provide an outline of the history and theory of psycho-traumatology from its earliest formulation by Pierre Janet to its present formulation as a research program in the DSM category of Post-traumatic Stress Disorder. In addition it describes the specific traumatic effects that occur in Childhood Sexual Abuse and focuses on the impact of “false memories” in the treatment of CSA. This section is of special interest to therapists working to heal trauma victims. Most of the articles in this section deal with issues that arise when one attempts to relate religion and psychology, or specifically Christianity and counselling. Several of these articles offer practical advice on how to conduct any type of counselling. These articles are of interest to Christian psychologists, psychotherapists and counsellors, and more generally all Christians working in the helping profession. Social workers, nurses, occupational therapists, childcare workers, pastors and others will likely find these articles interesting. These articles focus on the Christian family and more generally on the place of children in an adult world. They offer suggestions and reflections based on the author’s lifetime experience on how to improve family life. Within this context these articles focus on the adult-child relation or on how to relate to, how to nurture, how to discipline and how to educate children. These articles were written for adults in general, but parents, teachers and child care and youth workers will likely find them especially helpful. This section deals with how human beings change as they proceed through the stages of life. Whereas the previous section dealt with child development these articles focus more on adult development. They argue specifically that life normally is dynamic rather than static, a moving picture rather than a photograph. In addition, several articles discuss issues that arise as one moves into the last phase of ones life. This material should be of interest to all adults who reflect on their journey through life and especially to those people who take care of adults and seniors. This section contains a manuscript and a number of articles that deal with the history of Post-World War II Reformed Dutch immigrants to Canada. These articles describe the history of this ethnic-religious group in the Netherlands prior to immigration and their journey of continuity and change in Canada after they immigrated. These writings are based on the author’s extensive research in immigration. They conclude that immigration has a conservative effect. Relative to those of their religion who remained in the Netherlands, these Dutch immigrants have changed very little over the past half century. This section is of interest to all students of ethnic change and continuity. This section relates the author’s attempt to formulate the theory of communication that in his view forms the background for communication in all kinds of inter-human relations. Teachers of communication studies, psychologists, psychotherapists, counsellors, human resource professionals, people in the helping professions and others should find this material interesting. Each of these meditations relates a particular bible passage with the sole aim of making this passage more alive to the reader. Based on sermons by the author these meditations are meant as a source of inspiration to bible-believing Christians. Some of you may have wondered what I have been doing over the past five years. This article explores what happens when we in the West gain the whole world but lose our soul. Two historically grown sources of inspiration govern the way we in the developed world frame our existence today. They are “reason” and “soul”. In this article I attempt to explain what ails us today by arguing that the life of reason has hijacked our life of soul. This article explores the implications of Dooyeweerd’s notion of “naïve experience”. What is the effect of choosing to experience life naively on the way we live our lives? I suggest that its essential result is that we approach our existence with a receptive attitude. Following Mekkes this means that the basic choice in life is whether or not to listen. The result of this basic choice is that we learn to listen to nothing. When we do that the world opens up to us and we hear and see things we did not notice before. As Psalm 19 teaches us, it also makes us more aware of the presence of God in our lives. I am keenly aware that not everyone chooses to be a Christian. Some even consider it a bad choice. This leaves me with the task of explaining why I have made that choice and of defending it as legitimate. The reason why ISIS is so attractive to some Canadian young people is that it is a form of (Islamic) fundamentalism, which offers an easy but unrealistic solution to their identity formation problems.